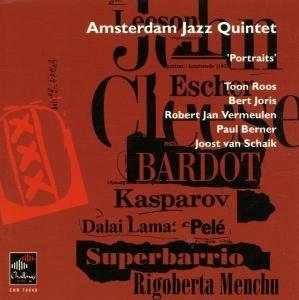 Does anyone here know this CD: Amsterdam Jazz Quintet – Portraits? I wonder why? The seller says the price is correct but it is dictated by his supplier and he can't say why it's so expensive..
Current system: MacMini/PC >> Schiit Eitr (with Uptone Audio LPS-1, for 5V USB power) >> RME ADI-2 DAC (with Zerozone 12V linear power supply) >> Xkitz Electronics XOVER-2, 100Hz active crossover (with Zerozone 17.5V linear power supply + LDOVR LT3045-A, ultra-low noise 15V voltage regulator) >> Schiit Vidar stereo power amp to KEF LS50 speakers + Sunfire HRS12/HRS8 active subwoofer. Cables used: Canare star quad speaker cables; AQ Cinnamon USB; AQ Big Sur & Schiit Pyst RCA; Supra CAT8 ethernet cable (with JSSG) for low voltage DC power; unknown coaxial cables; standard mains power cables (with Airlink BPS1502EU, 1500VA, balanced, mains isolation transformer). The Discogs seller says: "INLAY IS GONE. ONLY CD and Booklet in jewel case... CD has some hairlines and is close to VG+. Booklet is NM." Hmm..